Sterlings Ultimax Pro Easyread has been developed for optimised readability. The double-sided, white, printed blade features vertical measurement markings for ease of use and improved distance reading. These markings are quickly becoming a must-have amongst tradesmen. 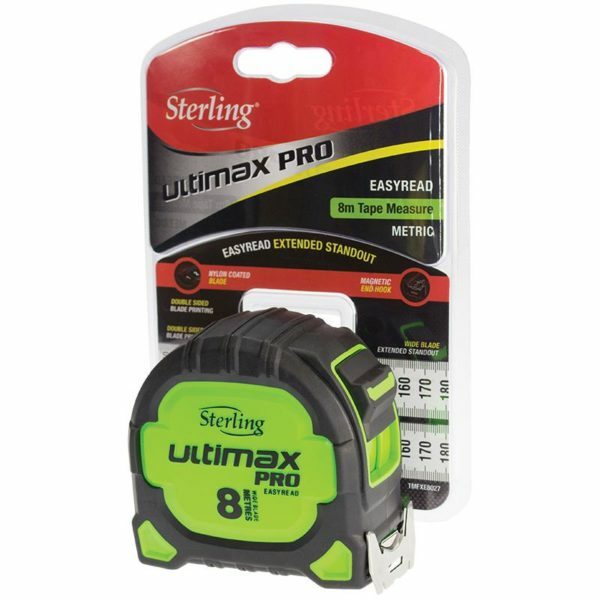 This tape measure utilities SuperBlade technology to achieve an extended standout. Perfect for long distance measuring, the Ultimax Pro can reach great lengths, while staying rigid.